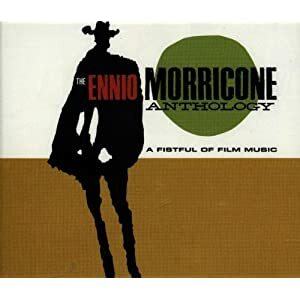 Ennio Morricone composed the soundtracks for the classic Sergio Leone Spaghetti Westerns A Fistful of Dollars, A Few Dollars More, and The Good, the Bad,and the Ugly. This music is literally the archtype for the genre, so you can’t go wrong with using in any Western themed game you are playing. I’m not sure if anything quite as brilliant has come out since for the genre. Even if you’ve never seen a Western in your life I bet you’ll recognize at least one of these songs. The most iconic of course is the Main Title from The Good, the Bad, and the Ugly. Its not all twangy guitars however, there’s a wide variety of instruments, vocals, and moods.